Premium apartment with stunning views of Auckland Sky Tower, which lights up at night! FREE UNLIMITED WIFI, SECURED CARPARK. 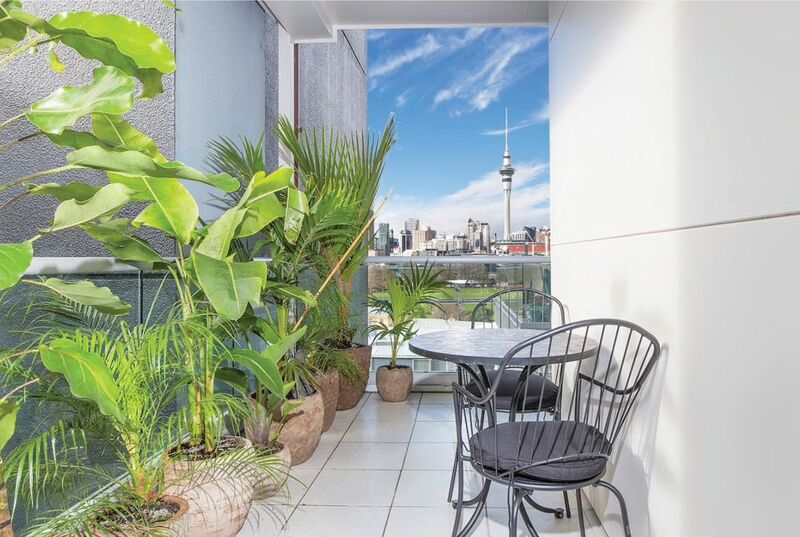 This 2-bedroom, 2-bathroom apartment has a spacious open plan layout, well-appointed kitchen with balcony overlooking Sky Tower and picturesque Victoria Park. Quiet residential building only 10 mins walk to the central city and transport hubs or 5 mins walk to the beautiful marina, boardwalk, theatre, market, parks, restaurants, cafes, bars! Walking distance to fashionable Ponsonby and Auckland's city centre for shopping, trains, buses and ferries. This fully furnished apartment comfortably fits up to six people. Master bedroom with en-suite, another double bedroom, large lounge with a sofa bed and a separate bathroom. FREE WIFI, TV with NETFLIX, one air conditioning unit, full cooking facilities, fridge freezer, dishwasher, heater, washing machine and dryer. There are two free secured car parks available while you stay at the apartment, so please let me know if you would like to use it. You will be able to enter the apartment using self-checking instructions. I will be happy to answer any questions you have about the local area. If there is anything you need during your stay I will be a text or email away. Please enquire about long-term stays via contact button. We are a New Zealand family with a huge passion for travelling and exploring the world. Love meeting new people and learning about their cultures. We are pleased to be able to offer our city apartment for people to stay while they enjoy what Auckland has to offer. The apartment was easy to get to and has parking if you need it. The location is about a 15 or 20 minute walk from the harbor and Ponsoby street, but you need to be able to walk up hills on the way back. The apartment itself has an elevator. There is a large supermarket 5 minute walk from the apartment. We had a very good 2 day stay. The location is a reasonable walk to all the main sights in town. The restaurants of Ponsonby were very close. The apartment was clean and comfortable. The washer and dryer were a very welcome feature. The bathrooms were a nice size. The kitchen was nice, but could have had a few more glasses and tea towels. The view of the SkyTower is amazing. Tonya, the host, is very nice - quick to answer emails, and offer advice. This was a great little place in a great neighborhood. Walking distance to Sky Tower, downtown, the marina, a grocery store, and tons of fun restaurants. The only time we took a cab was to and from the airport- about a 30 minute ride. The apartment is very quiet. With the windows closed, we could not hear any traffic or noise from adjacent units. We had a wonderful time visiting Aukland for the first time, and this was a great place to stay.